Finally, it's official! 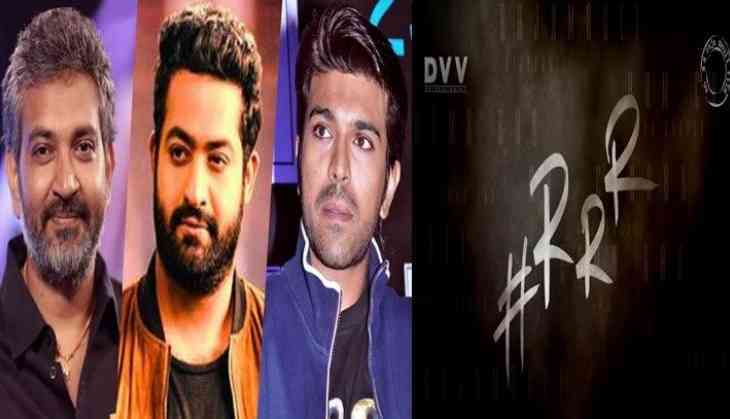 After months of speculation, legendary filmmaker SS Rajamouli confirmed on Thursday that his upcoming film will feature superstars Jr.NTR and Ram Charan in the main leads. The Baahubali director took to his Twitter account to share the much awaited announcement through a video. “The much-awaited confirmation you all have been waiting for since November 18th 2017… Its OFFICIAL.. The Massive Multi Starrer is ON! ", SS Rajamouli tweeted. Interestingly, the video shows three capital letter 'R' together (Rajamouli, Ram Charan and Rama Rao Jr), thanks to the names of SS Rajamouli, Ram Charan and Nandamuri Taraka Rama Rao Jr.
It’s not the TITLE.. Just the TITANS coming together! @ssrajamouli @tarak9999 #RamCharan,” SS Rajamouli added.